When consumers and talent alike see themselves reflected in media images or senior positions, they tend to gravitate to the brand, says Latraviette Smith. Anyone who has ever attempted to create a brand that positively resides in the homes and hearts of a cross-section of consumers and employees can attest to the challenges of doing so. It is not a simple feat, but in many ways it follows a simple formula that can be replicated, tweaked, and scaled across industries and companies to unlock the "mystery" of how to engage, build, and grow diverse markets. MSNBC is one such example. Over the past few years, the network has maintained a first-place standing in the cable news industry among both 25- to 54-year-old African-American viewers and total viewers. In fact, it grew its African-American audience by a remarkable 60% in 2012. Last year marked the fourth consecutive one in which MSNBC held the top spot with this segment. In addition, the network noted in its February 2014 ratings release that, according to Nielsen, it was "also the most diverse cable news network." The following figures were given to back that up: In weekday prime-time (Monday-Friday, 8pm-11pm), MSNBC ranked number one in African-American, Hispanic, and Asian 25-to-54 audiences for the month. In full day (Monday-Sunday, 6am-2am), MSNBC ranked number one among African-Americans and Hispanic 25-to-54 audiences." "This has been steady growth for us for some time. We made a commitment. We decided that in order for this channel to succeed, we had to reflect the country. We have a diverse on-air group of people because that matters. People want to know we reflect their world. And it’s not just a single show – it’s across the board. To spend a day watching MSNBC is to see America as we have seen it. It wasn’t like we said, ‘Oh, we have to have a diverse person on here and there.’ We made a decision. We made a commitment in ideas, issues, and everything. The audience followed and that goes back four or five years ago. As we grew, we recognized it was the right thing to do. Our look is as diverse as any on mainstream TV. I’m incredibly proud of it. It’s just a great statement on what we have been doing over the last few years – that we really do reflect the country." This formula for success can be broken down as follows: (Awareness of changing consumer base/untapped market + diverse talent base + product relevance + audience investment) x ongoing commitment = exponential brand loyalty and growth. In other words, smart and meaningful investments yield significant returns. A June 2013 Pew Research Center survey found that African-American news consumers are more engaged than whites on a wide variety of issues. This simply confirmed what MSNBC seems to have discovered several years prior, an insight that has allowed the network to compete for – and win – this audience with significantly more success than its competitors. When consumers and talent alike see themselves reflected in media images externally or senior positions internally, they tend to gravitate to the brand. There is power in the concept of connecting with "people like me" who share sets of experiences and levels of cultural understanding – and the value extends well beyond audience development. MSNBC’s diverse on-air talent roster – from Tamron Hall, Melissa Harris-Perry, and Rev. Al Sharpton to Joy Reid, Karen Finney, and Touré – is underscored by diverse representation at the top as well. This includes executives such as Yvette Miley, MSNBC’s SVP and executive editor, who skillfully combines well-honed news and diversity sensibilities – a vital perspective in helping to drive the network’s cultural shift from the inside out. I’ve previously written about the Comcast and NBCUniversal Joint Diversity Advisory Council. In addition to the aforementioned factors in MSNBC’s transformation to reflect the nation we see, efforts such as the Council demonstrate an overall commitment to impacting the culture of an organization to become one where the value of diversity is recognized across both business and talent. In fact, two of the best practices I noted then – long-term commitment and diversity and inclusion as a corporate value – are seemingly indeed being put into practice within the network now to drive its audience-development and talent-acquisition strategies. The formula for winning diverse audiences and expanding business opportunities as a result isn’t complicated, but it does require commitment and a concerted effort. When considering program development, talent sourcing, and resource allocations, remember: if diverse audiences are treated as an afterthought – or, as bad, an ancillary thought – that’s how they will likely treat your brand. Here’s perhaps the simplest formula of all for any news network, PR agency, or corporation: real investment = real return. 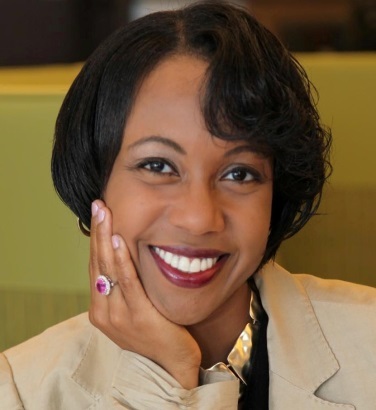 Latraviette Smith, former VP, global diversity and inclusion for American Express, has spent 15 years in communications in agency, corporate, consumer, and multicultural PR, as well as senior marketing roles. Her column will focus on the PR industry's ongoing efforts to advance diversity among its ranks at all levels. Connect with her via LinkedIn or at latraviette@gmail.com.